The sooner you address gum disease, the better because, if left untreated, it can lead to tooth and bone loss. If you have gum disease in the Larchmont, New York area, local dentist Avi Malkis can help. He performs several types of gum disease treatments, including laser therapy along with scaling and root planing. To learn more, call Larchmont Family Dental or schedule an appointment online. Scaling and root planing is a nonsurgical procedure recommended for patients with periodontitis, which is when gum disease has advanced to a stage in which pockets have formed between the gums and teeth. Using a scaler or an ultrasonic tool, Dr. Malkis thoroughly removes all bacteria, plaque, and tartar deposits, all the way down to the bottom of the pockets between your teeth and gums. Then, Dr. Malkis smooths the rough areas on your roots' surfaces to keep bacteria, plaque, and tartar from coming back under your gumline. After this, Dr. Malkis may put antibiotics into the gum pockets to help speed up the healing process and prevent infection. Scaling and root planing may take two to four visits, depending on the severity of the gum disease. Do scaling and root planing hurt? During the scaling and root planing procedure, people typically experience little discomfort. Dr. Malkis gives you a local anesthetic to numb the area and minimize any pain. After the procedure, you may experience tenderness for a couple of days and sensitivity for up to a week. What can I expect after scaling and root planing? In most cases, your gum tissue becomes firm and pink, bleeding is reduced or eliminated, and the pockets between your teeth and gums shrink. If your gum tissue improves and remains stable after the scaling and root planing, you may not need any further treatment. Am I a good candidate for scaling and root planing? If you have gum disease, don’t wait until it gets worse and results in tooth and bone loss. 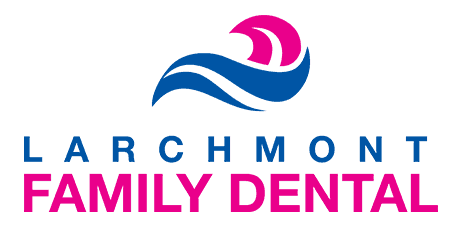 Call Larchmont Family Dental today, or schedule an appointment online.